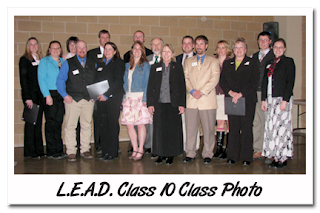 The Wyoming Leadership Education and Development Program (L.E.A.D.) is holding a series of recruitment receptions for its next class around the state starting today in Cheyenne and ending June 4 in Riverton. The receptions are a chance for Wyoming producers to learn more about what the L.E.A.D. program entails - a 14-month adult leadership initiative - and how it can provide tools to help producers enhance their broad-based knowledge, decision-making abilities and leadership skills for a sustainable agriculture in Wyoming. 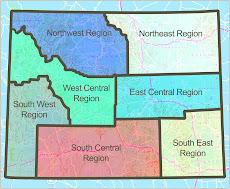 May 20, Cheyenne, Wyoming Business Council Board Room, 7 p.m.
May 21, Green River, Hampton Inn - John Wesley Powell Room, 7 p.m.
June 2, Ag Resource and Learning Center - Midwest Room, 7 p.m.
June 3, Buffalo, Best Western Conference Room, 7 p.m.
June 4, Riverton, Claim Steak Restaurant Banquet Room, 7 p.m.
"The recruitment receptions are a great way to learn more information about the L.E.A.D. Program and visit with alumni about their experience," said L.E.A.D. program manager Kim Porter. To learn more about the L.E.A.D. program read the Wyoming Business Council press release: http://tinyurl.com/dbuhc2.